General Awareness is a source for good preparation of Bank, SSC CGL, UPSC, and railway and for other competitive exams. Study General Awareness from www.GovtJobsPortal.in and stay updated as well as prepare for General Awareness section which is asked in SSC CGL, UPSC and other competitive exams. Here we are providing static GK for SSC CGL exam. Today’s topic on static GK is INDIAN GLLANTRY AWARDS. Indian Government presented gllantry awards and honours to military persons for their accomplishments and self-sacrifice in war for nation. These awards and honours are various types param vir chakra, maha vir chakra,vir chakra, ashok chakra, kirti chakra, shaurya chakra and sena chakra. · It is India’s highest military decoration gallantry awarded for the highest degree of valour or self-sacrifice in the presence of the enemy. It can be , and often has been, awarded posthumously. · The Param Vir Chakra was established on January 26, 1950 (the date of India becoming a republic), by the president of India, with effect from August 15, 1947 (the date of Indian independence). · It can be awarded to officers or enlisted personnel from all branches of the Indian military. It is the second highest award of the government of India after Bharat Ratna (amendment in the statute on January 26, 1980 resulted in this order of wearing). It replaced the former British colonial Victoria Cross (VC). · The medal, designed by Savitri Khanolkar, is a circular bronze disc 1.375 inches (3.49 cm) in diameter. The state emblem appears in the centre, on a raised circle. Surrounding this four replicas of Indra’s Vajra (the all powerful mythic weapon of the ancient Vedic King of God’s). The decoration is suspended from a straight swivelling suspension bar. It is named on the edge. · On the rear, around a plain center, are two legends separated by lotus flowers, the words Param Vir Chakra are written in Hindi and English. · A purple ribbon, 32 millimetres (1.3 in) long, holds are Param Vir Chakra. The medal symbolizes Rishi Dadhichi, who had donated his bones to the Godes for making Vajra. 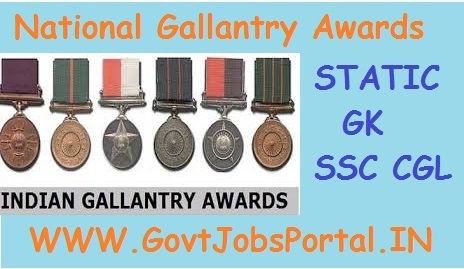 · It is the second highest military decoration GLLANTRY AWARD in India and is awarded for acts of conspicuous gallantry in the presence of the enemy, whether on land, at sea or in the air. It may be awarded posthumously. Literally Maha Veer means great warrior. · The medal is made of standard silver and is circular in shape. Embossed on the obverse is a five pointed heraldic star with circular center-piece bearing the gilded state emblem of India in the center. The words "Mahavira Chakra" are embossed in Devanagari and English on the reverse with two lotus flowers in the middle. The decoration is worn on the left chest with a half-white and half-orange riband about 3.2 cm in width, the orange being near the left shoulder. · Established by the President of India on 26 January 1950. The statutes were amended 12 January 1952 to readjust the order of wearing as new decorations were established. · This gallantry award is presented for acts of bravery in the battlefield. It is third in precedence in the war time gallantry awards and comes agter the Param Vir Chakra and Maha Vir Chakra. · The medal is 1-3/8 inch circular silver medal. A five pointed star, with the chakra in the center, and, on this, the domed gilded state emblem. The decoration is named on the rim and suspended from a swiveling straight-bar suspender. The decoration is almost always named and dated on the edge. Around a plain center, two legends separated by lotus flowers; above Vir Chakra in Hindi and in English. The ribbon is 32 mm, half dark blue and half orange-saffron. Dark blue 16 mm, saffron 16 mm. · It is also one of the gallantry awards in india. This military decoration is awarded for valor, courageous action or self-sacriice away from the battlefield. It is the peace time equivalent of the Param Vir Chakra, and is awarded for the “most conspicuous bravery or some daring or pre-eminent valour or self-sacrifice” other than in the face of the enemy. · The decoration may be awarded either to military or civilian personnel and may be awarded posthumously. It replaced the British George Cross. · This military decoration is awarded for valour, courageous action or self-sacrifice away from the field of battle. It may be awarded to civilians as well as military personnel, including posthumous awards. · It is the peacetime equivalent of the Maha Vir Chakra. It is second in order of precedence of peacetime gallantry awards; it comes after Ashoka Chakra and before Shaurya Chakra. · This military decoration is awarded for valour, courageous action or self-sacrifice, hwile not engaged in direct action with the enemy. It may be awarded to civilians as well as military personel, sometimes posthumously. insurgency operations and actions against the enemy during peace-time. It is third in order of precedence of peacetime gallantry awards and comes after the Ashoka Chakra and the Kirti Chakra. It precedes the Sena Medal. · It is awarded to members of the Indian army, of all ranks, “for such individual acts of exceptional devotion to duty or courage as have special significance for the Army. “ Awards may be made posthumously and a bar is authorized for subsequent awards of the Sena Medal. 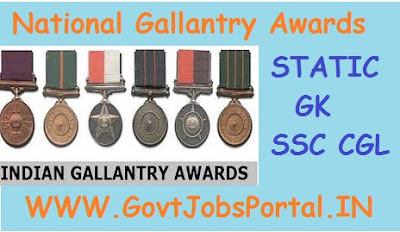 · It is awarded for gallantry. However, the Sena medal (Distinguished) is given for distinguished service carried out by any soldier, not in the face of the enemy. The Sena Medal also serves as a sort of general commendation medal for the Indian Army. · It is preceded by the Vir Chakra, Shaurya Chakra and Yudh Seva medal. It is turn precedes the Vishisht Seva Medal.